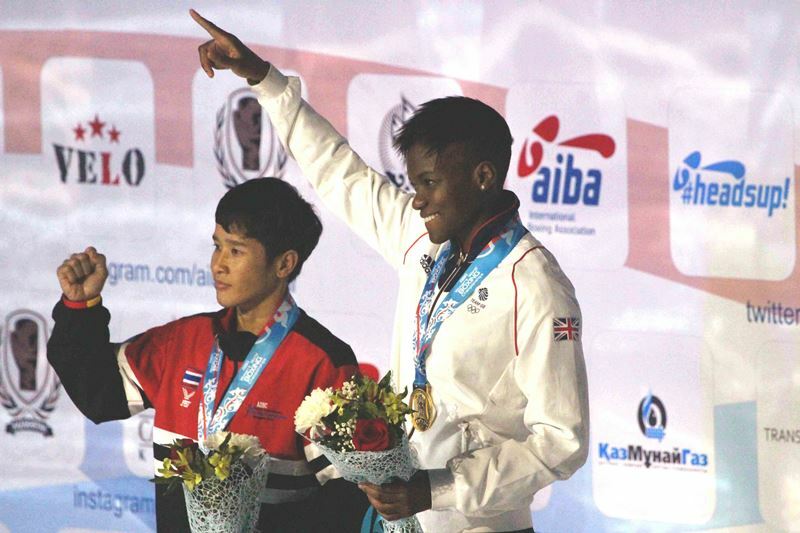 Nicola Adams won her first World Championship today when she defeated Peamwilai Laopeam of Thailand in the flyweight final at the AIBA Women’s World Boxing Championships in Astana, Kazakhstan. The victory gives Adams a unique career grand slam and means she is the only female boxer in the history of the sport to have won every major title available to her. The Leeds born boxer is the reigning Olympic and Commonwealth Games champion and won last summer’s inaugural European Games in Baku. She won the European Championship in 2011 and is now the 2016 World Champion. Adams said: “I came here to win the gold so to leave as World champion is absolutely brilliant and one of the highpoints of my career. “To finally become World Champion after losing out in three previous finals is very satisfying and shows that if you stick to your goals and work hard you can achieve them in the end. “Winning this means I have now won every major title and I am really happy to complete the career grand slam of being Olympic, European, European Games, Commonwealth and World champion. “The tournament has been great preparation for the Olympics and I am now really looking forward to the Games and defending my title in Rio when I hope to become a two-time Olympic champion. Adams had previously contested the World Championship finals in 2008, 2010 and 2012 but came away with silver on each occasion. She looked to take the initiative in today’s final and established a lead on two of the judges’ scorecards after the first round. A strong second cemented her lead and, although Laopeam had more success in the third, the British boxer remained well ahead. Adams used all of her experience to stay out of trouble in the fourth and secure her first World Championship by a 2:1 split decision (40:36, 39:37, 36:40). Her win makes Adams only the third Briton in history to win a World Championship, after Frankie Gavin who secured the men’s lightweight crown in Chicago in 2007, and team-mate Savannah Marshall who won the women’s middleweight title in Qinhuangdao in 2012. Adams’ victory was the highpoint of another successful week for Great Britain’s female boxers which saw Savannah Marshall qualify for the Olympic Games in Rio and secure a bronze medal in the middleweight category. The medals for Marshall and Adams mean women from GB Boxing have won 16 medals at eight major tournaments since the establishment of a female boxing team in 2010. The pair will be Team GB’s only female boxing representatives in Brazil where the competition will be held at three weights (flyweight, lightweight and middleweight). They will join Galal Yafai, Muhammad Ali, Qais Ashfaq, Joe Cordina, Antony Fowler, Joshua Buatsi, Lawrence Okolie and Joe Joyce as part of a GB Boxing team that is currently made up of 10 people. It could rise as high as 12 depending on how the men perform in their two remaining qualifying events in Azerbaijan and Venezuela when they will look to qualify boxers at light-welterweight and welterweight. A one hour highlights programme of the AIBA Women’s World Championships will be shown on BBC1 at 1340-1440 on Saturday 4th June 2016.